A studio for community. A studio for creativity. Four state of the art studios - and black box theater - in a historic, art-deco style. An extraordinary venue for extraordinary experiences. 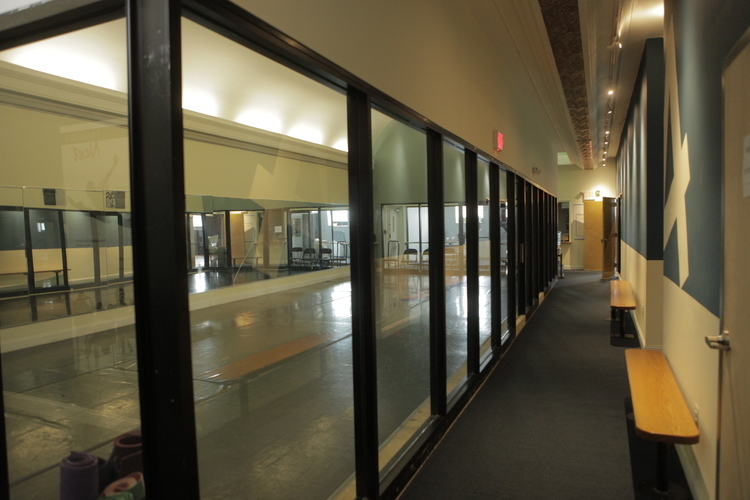 The main studio for ballet and modern dance classes and rehearsals, Studio 2 is an 1,800 Square Foot space with a new, fully sprung dance floor, 12 foot ceilings, full length mirrors, Harlequin marley floor and a sound system which is a dream. 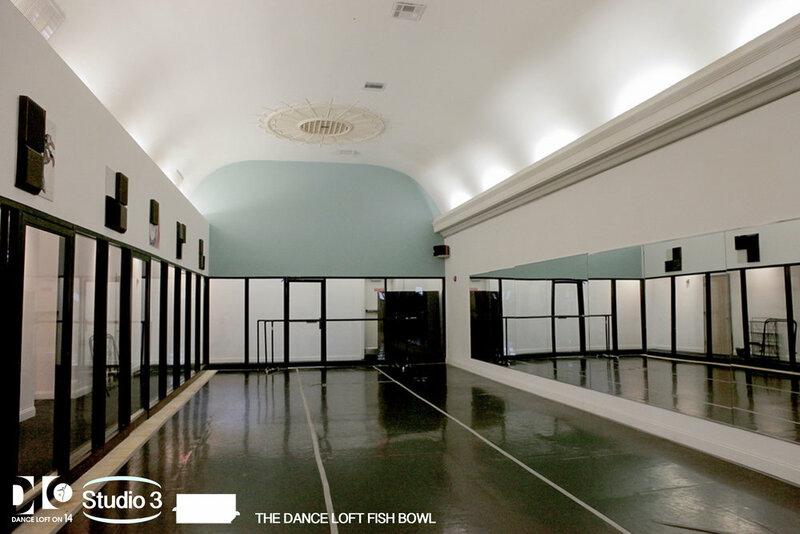 Surrounded on three sides by glass walls, and featuring a full length mirror on its spacious 40 feet long wall, Studio 3 is elegant and unique 900 Square Foot studio. Its 20-foot vaulted ceiling retain its original medallion trim and ornate stucco. The most intimate of the four main studios at the Dance Loft, Studio 4 at 700 square feet features exposed tan brick, a gold inlay ceiling, and a paint scheme reminiscent of the1920's. Studio 4 is an exception space for smaller rehearsals and classes, as well as for a staging area for a banquet, a breakout room for a meeting, and a gathering space for ideas.